The Emmaljunga Smart 2 IN 1 Package provides excellent value for money without compromising quality, safety and comfort. 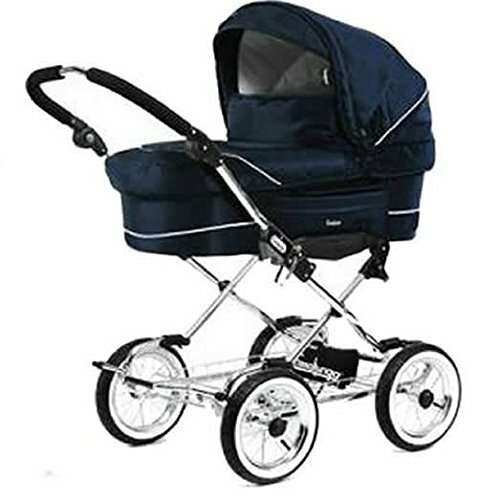 Suitable from birth to 3 years The Smart 2-1 System includes a spacious carrycot, reversible seat unit with four position recline function and Emmaljunga’s premium range Classic Chrome Chassis with elegant whitewall wheels, height adjustable handle and patented E.A.S.T. adjustable suspension system. The Emmaljunga Smart 2 IN 1 Package provides excellent value for money without compromising quality, safety and comfort.